Your credit score is the first thing a lender will look at when applying for a home loan. A good credit is essential to qualifying for a mortgage (620+) and could also mean better interest rates; saving you thousands of dollars during the life of your mortgage! Used credit vs. available credit (this makes up 30% of your credit score rating): credit score models take into consideration how much you currently owe vs. your credit limit. It is usually recommended to keep your balance under 60-70% if your limit – that means if you have a credit limit of 10k on your credit card, keep the balance under 6-7k. 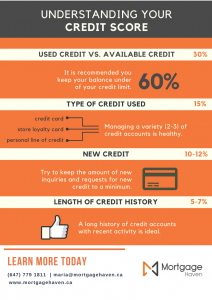 Type of credit used (15%): your score is also affected by the type of credit accounts you use. Managing 2-3 credit accounts is healthy, with a variety of credit cards, store credit, personal line of credit or auto loans. Too many credit accounts deem you irresponsible, whereas only one can also hurt your credit score. 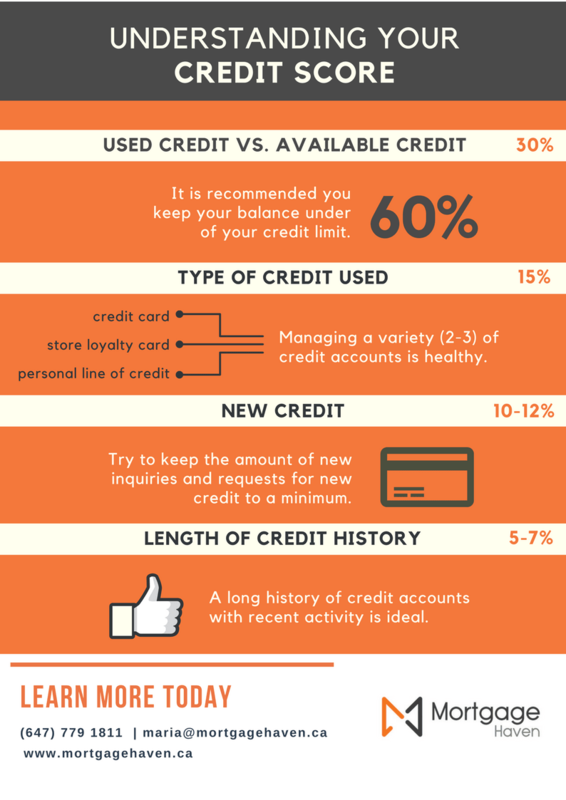 New credit (10-12%): Your credit score is also affected by the amount of credit inquiries you’ve initiated. Every request for new credit lowers your score, especially if creditors rejected you. Ideally, you should keep the number of inquiries to a minimum, unless absolutely necessary or you know you’ll be approved. Too many inquiries can indicate financial difficulties, further detering lenders from approving you. Inquiries stay on file for 3 years and your score factors in the length of time since your credit has last been pulled. Pay all your bills on time! If you suspect you will be late on a payment, call the lender or service provider to let them know. This avoid being sent to collections and having a public record notice on your credit report. Avoid making out your credit cards- try keeping them under 30% of your limit. Don’t close accounts; establish a long credit history. 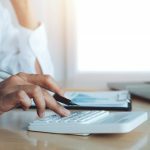 Keep a variety of accounts; a healthy number of credit accounts will increase your score, rather than having just one (which negatively affects you). Two to three is a good amount – example: a credit card, car loan, personal line of credit – too many is a sign of financial irresponsibility. 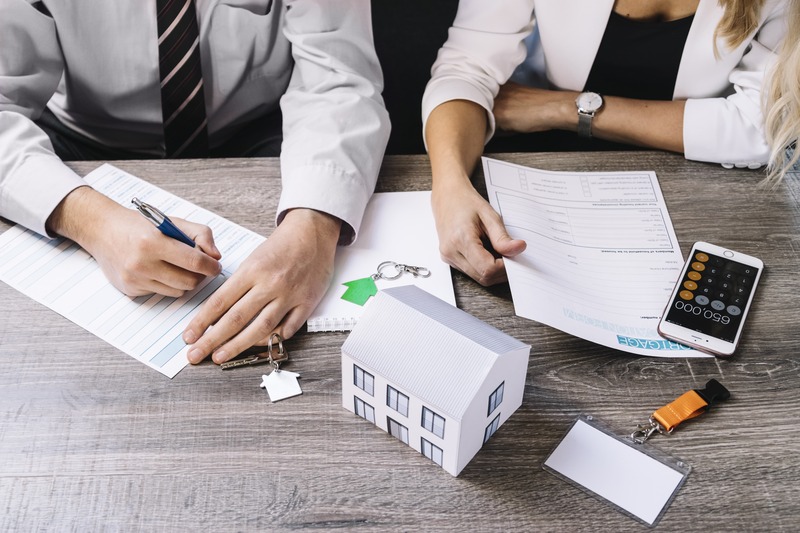 If you fear you have large debt and a bruised credit, remember, our mortgage specialists offer free, expertise advice and can help you with debt consolidation!